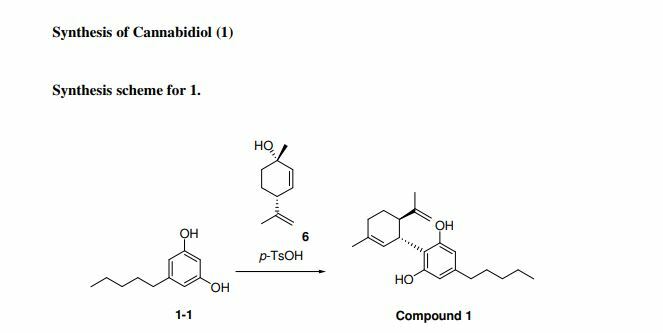 Evidence suggests that specific mutations of isocitrate dehydrogenases 1 and 2 (IDH1/2) are critical for the initiation and maintenance of certain tumor types and that inhibiting these mutant enzymes with small molecules may be therapeutically beneficial. 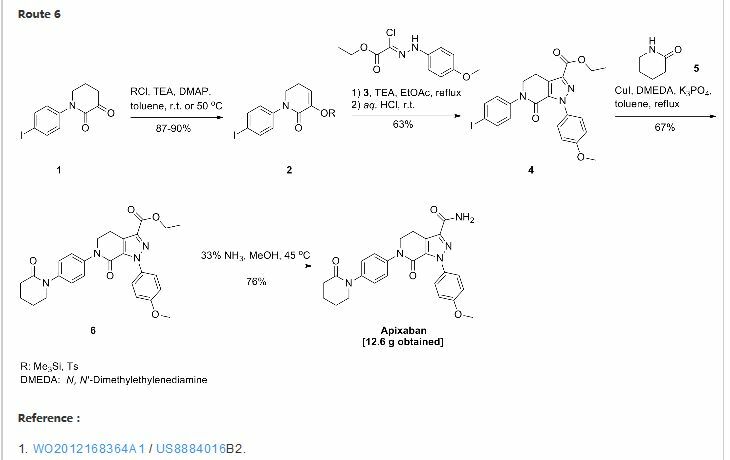 In order to discover mutant allele-selective IDH1 inhibitors with chemical features distinct from existing probes, we screened a collection of small molecules derived from diversity-oriented synthesis. 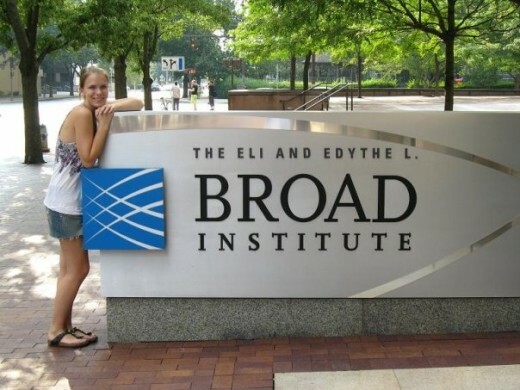 The assay identified compounds that inhibit the IDH1-R132H mutant allele commonly found in glioma. 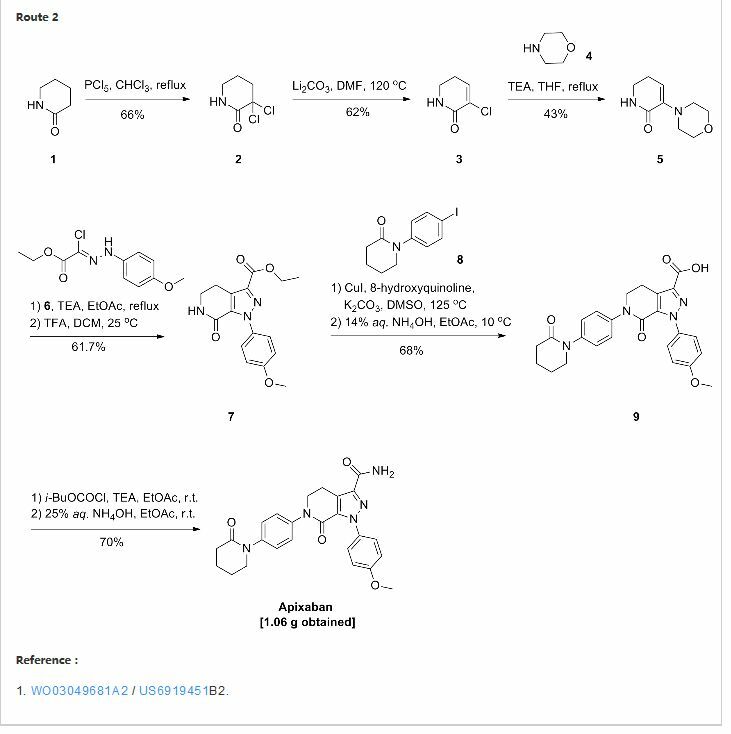 Here, we report the discovery of a potent (IC50 = 50 nM) series of IDH1-R132H inhibitors having 8-membered ring sulfonamides as exemplified by the compound BRD2879. 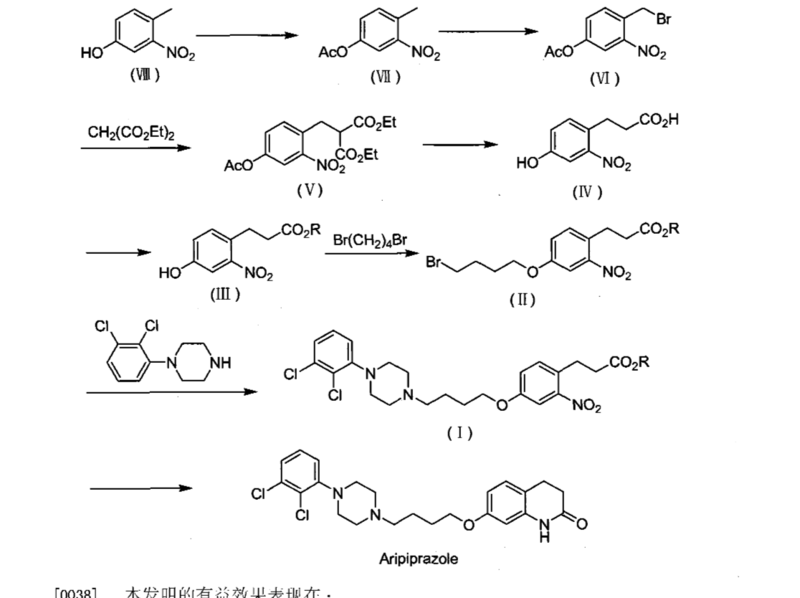 The inhibitors suppress (R)-2-hydroxyglutarate production in cells without apparent toxicity. 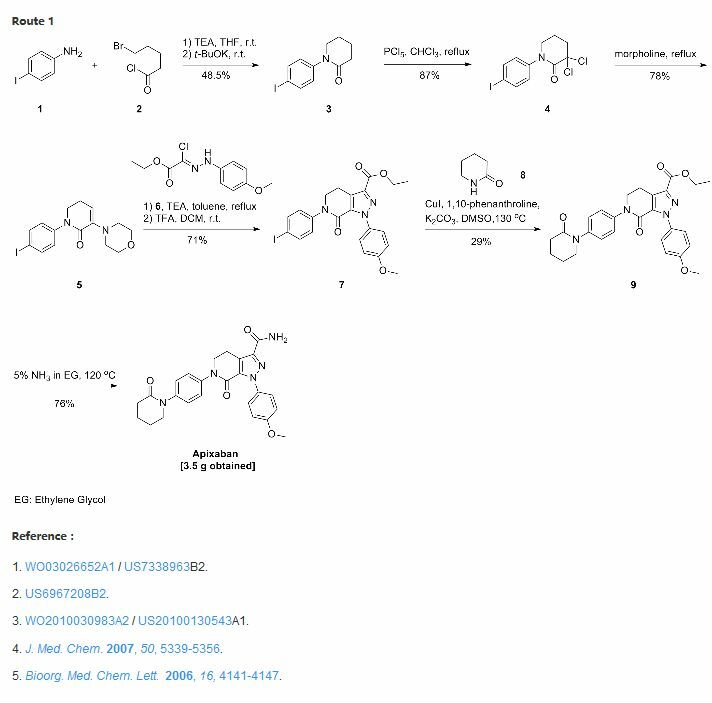 Although the solubility and pharmacokinetic properties of the specific inhibitor BRD2879 prevent its use in vivo, the scaffold presents a validated starting point for the synthesis of future IDH1-R132H inhibitors having improved pharmacological properties. 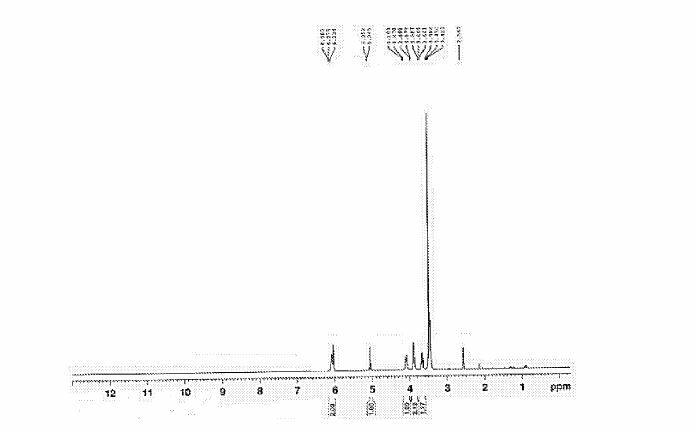 1H NMR (300 MHz, CDCl3, 27 °C) δ 7.88 (d, J = 8.3 Hz, 1H), 7.39-7.27 (m, 3H), 7.22-7.14 (m, 2H), 7.12-7.03 (m, 1H), 4.57 (td, J = 9.5, 2.5 Hz, 1H), 4.35-4.23 (m, 2H), 3.97-3.78 (m, 2H), 3.74-3.60 (m, 2H), 3.51 (ddd, J = 12.3, 9.9, 4.0 Hz, 1H), 3.40 (dd, J = 15.8, 5.1 Hz, 1H), 3.18 (dd, J = 9.9, 2.9 Hz, 1H), 3.12 (dd, J = 14.4, 2.6 Hz, 1H), 2.66 (s, 3H), 2.30-2.16 (m, 1H), 2.06 (d, J = 12.2 Hz, 1H), 1.96 (d, J = 12.1 Hz, 1H), 1.69-1.58 (m,1H), 1.58-1.45 (m, 2H), 1.23 (d, J = 6.8 Hz, 3H), 1.40-0.97 (m, 5H), 0.94 (d, J = 7.0 Hz, 3H). 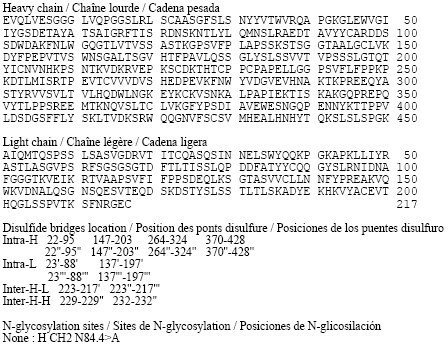 13C NMR (75 MHz, CDCl3, 27 °C) δ 164.20, 160.92, 157.74, 154.80, 134.60, 130.26, 130.15, 129.56, 128.62, 127.82, 127.77, 127.68, 126.90, 124.27, 118.81, 118.50, 116.63, 116.35, 91.32, 88.40, 85.60, 64.86, 58.03, 51.64, 49.88, 48.51, 36.73, 34.51, 34.35, 34.31, 25.72, 25.28, 25.23, 15.76, 15.05. HRMS (ESI) calc’d for C30H38FN3O5S [M+H]+ : 572.2589. Found: 572.2588. 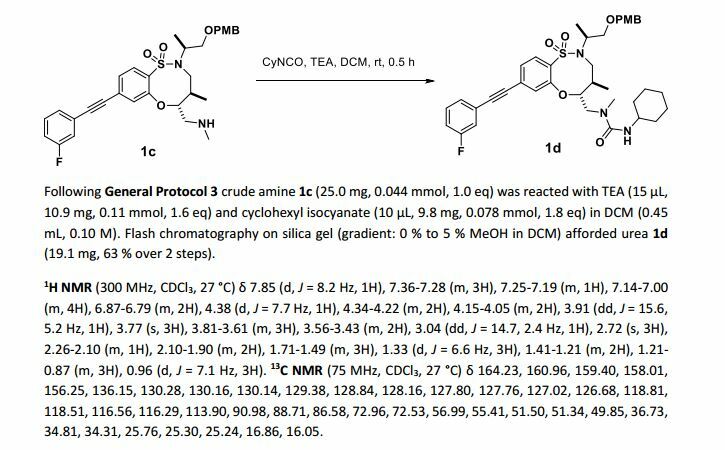 By DR ANTHONY MELVIN CRASTO Ph.D in Uncategorized on November 4, 2016 .